The client is selling flowers for every special occasion from his beautiful local store which is located at Fremont Alameda County, California, United States). Florist website was 3 years old but not getting traffic even site was not ranking for any local customer search query like “location + florist “under top 100 search results. Website’s link popularity and domain authority was very low. Website designing was very outdated and not user friendly. Call to action was not highlighted so those users easily contact business owners. Step 1 # Website & competitor’s analysis – did through website analysis to find out all issues and opportunities to promote website. Step #2: Keyword research – Finding the pattern of customer’s how they search online for ordering flowers online. We did extensive keyword research to find keyphraes which can drive relevant traffic & leads to client website once we get ranking on google. Step#5: Social media marketing- Now days social media platforms (Facebook, twitter, instagram etc.) are one of the best medium to attract, engage and grow your customer base. So we used this marketing weapon for increase brand awareness and drive traffic to website. 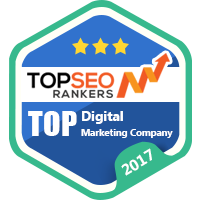 6 months of SEO & Social media, their site was ranking on page 1 for the majority of their keywords. If you want to increase traffic on your website and attract maximum prospects within a restricted line of budget, our Digital Marketing team is the one to rely on for great results. To help you increase website traffic, conversions, leads and sales.